I recently had a great game of chess against a formidable opponent. I say formidable as we are both rookies in the world of chess play, so in my eyes this was not an easy game by any means as it used up all my cunning to reach a victory of some sorts. I really enjoyed the aspect of being given the opportunity to practise a sport I have come to admire with great respect and trepidation in one. The reason I say ‘trepidation’ is because during every chess match I feel my stomach knot up like I am stepping onto the martial arts mat or into the boxing ring, it feels so weird and totally out of place for such an event as chess. Is it that I fear being an embarassment to myself ? or is it that I fear chess players would sneer at me if I lost? 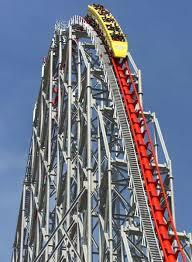 I don’t know what it is but I liken the feeling to waiting to go on the fair ground rollercoaster for the first time. You know its going to make you feel queazy, you know its going to be fast, yet something draws you to its very core of thrills and spills. I’m not sure if I’m the only one that feels these intense emotions before a match for as I fire myself up to play I feel my eyes widen with excitement as I stare at the screen or board for my battle of skill and cunning and you know what?… win, lose or draw I always come away feeling mentally cleansed and physically worked out. I’m going to endeavour to keep you posted on my wins, losses, draws and near encounters in the wonderful world of Chess and maybe even throw in a supporting narrative every now and then. I have just picked myself up off the floor in astonishment after playing the game detailed below. After psyching myself up as you know I do, my gladiatorial equal resigned giving me the victory. Now I’m not one to take a victory in this manner but I could not help feeling that the nervous pent up ritual I go through before waiting to be annihilated might not be such a bad thing in order to calm my inner thoughts and help me focus on the task in hand. My opponent obviously hadn’t taken such a ritual as they shouted ‘Go then’ as they waited for me to make my next move (were they stressed? maybe just a little) I rolled around on the floor in fits of laughter as all the protocols of the game of chess were thrown out of the window and with it the resignation of my highly strung opponent. Even in blitz games an opponent would never prod the other to ‘Go then’, if the player wishes to take their time then it is only their own time they are wasting so patience and calm are the order of the day. The database logs the victory to me, I will chalk this from my play list but thought it worth a mention this time as the art of calm was definitely not in the air at this time. I look forward to posting my next game, of which unfortunately I am not in a good position as I made a bit of a wrong manouvre and so I am now paying the price.